Peak CoQSol10 CF™ – Better than conventional CoQ10 to support your energy, heart and overall health. Extra 10% Off: $35.96 + Free Shipping FOREVER! Extra 10% Off: $101.87 + Free Shipping FOREVER! Extra 10% Off: $179.78 + Free Shipping FOREVER! Save Extra 10% + Free US Shipping Forever! When you select AutoShip, you’ll get an extra 10% discount and FREE US shipping on today’s order and all future deliveries. You’ll never have to worry about running out of the products you love because we’ll ship you the exact same number of bottles based on your initial order. You get to lock in today’s low price for all future shipments. You are authorizing your credit card to be charged todays price each time your order ships. Shipment frequency is based upon the month(s) supply ordered. (Each bottle is a one-month supply.) By placing your order on AutoShip you are agreeing to these terms. You can change or cancel your AutoShip at any time by calling Customer Service at 1-561-536-5629. Every single cell in your body needs Coenzyme Q10 – or CoQ10, as it’s more commonly called. Your cells use it to produce the energy your body needs for basic functions – including cell growth and maintenance. Plus, CoQ10 protects your body from free radicals. If you take statin drugs for cholesterol, you are hindering your body’s ability to produce CoQ10, increasing your chances of becoming deficient. CoQ10 deficiency can cause many health problems – including fatigue… muscle weakness and soreness… and heart problems. Many conventional CoQ10 supplements are made with ubiquinone – a substance that must be converted into ubiquinol in order to be used by your body. But it gets increasingly harder for your body to turn ubiquinone into ubiquinol as you age. So ubiquinone CoQ10 supplements become less and less effective the older you get. To make matters worse, conventional CoQ10 supplements can crystallize during the production process which lowers CoQ10 bioavailability. Thankfully you no longer have to rely on traditional, crystallized CoQ10 that is not easily absorbed. Thanks to a trio of ingredients and a patent-pending process, Peak CoQSol10 CF™ is completely soluble, liquid crystal-free ubiquinol CoQ10 clinically proven to provide superior bioavailability. And greater absorption – so it’s more quickly and easily used by your body! Peak CoQSol10 CF™ absorbs better than conventional CoQ10 supplements to support cellular energy, immunity, and a healthy heart. Each bottle contains 30 capsules. Take one daily, preferably with a meal. At Peak Pure & Natural® we go to great lengths to ensure quality and purity in every product we offer. You can rest assured that our products are safe, of high quality and formulated to really work for you so you can stay in Peak Health… plus they’re always backed by our 100% Complete and Unconditional Lifetime Guarantee of Satisfaction. To demonstrate our dedication to Quality and Safety in every bottle, we are incorporating the following quality badges on our new product labels… so you’re always armed with the information you need to make sure the product you are considering is right for you. Non-GMO: No genetically modified organisms have been used in this formulation. As much as 80% of processed food in the U.S. now contains GMOs. 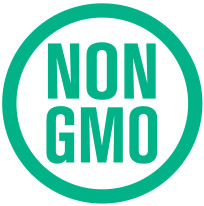 When you see this symbol, you know we have gone to great lengths to ensure we source ingredients only from Non-GMO sources to ensure your safety. Gluten-Free: We’ve taken every step in the purchasing of high quality ingredients as well as the manufacturing process to ensure this product is Gluten-Free. We are proud to support those following a healthy, gluten-free lifestyle. 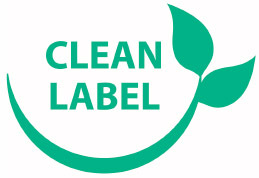 Clean Label: When you see our Clean Label badge, you know immediately that the product has been manufactured without silicon dioxide, magnesium stearate and other synthetic fillers that are commonly used in the manufacturing process of dietary supplements. 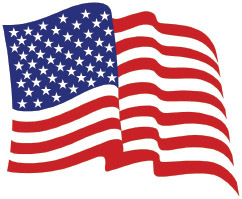 Manufactured in the USA With Quality Ingredients From Around The World: We take great care to ensure our products are 100% manufactured in the United States of America with quality ingredients sourced globally. All raw materials are purchased from qualified vendors who have been approved and audited by our manufacturing partners’ Quality Assurance team. Each raw material is tested for identity and purity to ensure we are using only the highest quality ingredients for our products. You can feel confident that what you see on the label is exactly what’s in the bottle. 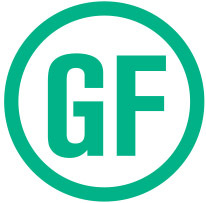 In addition, we only manufacture in FDA Registered and Inspected Facilities and also require our manufacturing partners to be NSF® Certified, which means each facility is regularly and independently inspected by NSF® International to ensure all FDA cGMP requirements are met on a continuous basis.